One of my favorite cities, London has countless possibilities for a memorable and fun visit through its history, culture and modern developments. So when Virgin Atlantic asked me to put together an itinerary as part of their new Let It Fly online campaign tool (where visitors select which packed bag best suits them and then Virgin recommends a destination based on what was selected), I had to take part and build one that captures the best of London for a three to four day weekend. To get creative with putting together the itinerary, I based it on seven different items that Virgin Atlantic selected and how they can be used in London. They included a white button down, a bow tie, a notebook and pen, a beach pail, sandals, a bike tire pump and a Jawbone Up Fitness Tracker. Some were trickier than others to select an activity for, but I hope you enjoy my choices! A good way to help you adapt to a new time zone and fight any jet lag you are feeling is by exercising. 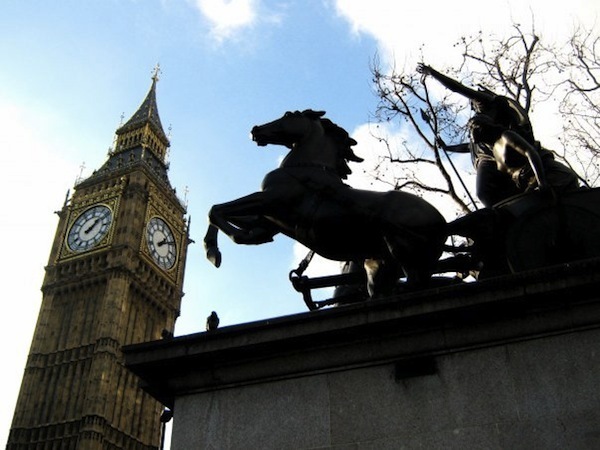 After checking into your hotel (and especially if you took a red eye flight), workout or go for a run in London. The latter is perfect to enjoy the scenery, so I’d recommend that over working out in a hotel gym – so here’s where the Jawbone Up Fitness tracker could come into use. London parks are a perfect choice for a run or stroll, especially in the late spring and summer months, and you can get a scenic taste of London by running through various parks to get a feel of the city if it’s your first time. Start in Hyde Park and make your way west to Green Park passing by Buckingham Palace and into St. James Park. Another option to both an arrival workout and also a personal scenic London tour is with a bike. Rent or borrow a bike in London to see much more than you would on your first day than by shuttling with the Tube (and here’s where that bike pump plays a role in the itinerary). Though you can probably ride through the parks, take advantage of your new wheels and take a ride on Thames Path National Trail to see all the bridges, London Eye, The Shard and other old and new iconic structures that shaped the London skyline. Take a break and visit the View From the Shard to overlook all of London from the highest viewing point in the city. Another fun option to both of these, is that you could find a local running or cycling club or tour to meet both locals and other travelers. London has a range of offerings in the city. From the spectacular theater and countless international dining options to creative street art and renowned museums, London really has it all. Depending on how much time you have your first night, dress up and have an elegant dinner and taken in a musical that night or the second. Making use of the white button down and bow tie from the seven items that are helping shape this agenda, start off with dinner at one of the five star hotels such as world-famous Savoy or the decadent Cronthia Hotel London, or head to the classic Covent Garden and dine at among one of the several fine dining options such as iconic Rules (the oldest restaurant in London serving traditional British food). Then head west to experience and be mesmerized by The Phantom of the Opera at Her Majesty’s Theatre or Wicked at the Apollo Victoria Theatre. Inspiration can be found throughout London. In case you are working in on a project such as a writing a book, designing clothing and accessories, working on an interior designing project, building a home or other creative work, explore both artful areas and museums for inspiration (and make sure to have a notebook and pen handy to jot down thoughts). An artful area that was recommend to me is Brick Lane, which is in East London and filled with countless street art to be inspired by. Then museums to visit for fashion inspiration and design are the Victoria and Albert Museum in South Kensington and the Design Museum near Tower Bridge. A top fashion city, no trip to London is complete without a visit to one of the several shopping areas. Oxford Street is the main shopping hub and is home to over 300 shops. Off of Oxford Street is Regent Street, which mixes fast fashion stores with old and famous shops in the city. The best menswear can be found the nearby Saville Row (known for its classic British style offerings and tailoring). 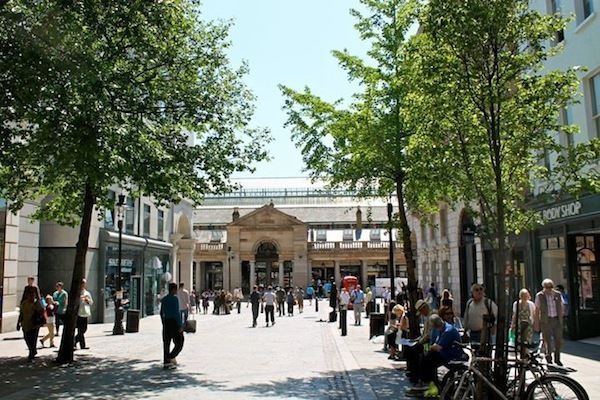 Then Covent Garden has an area that’s been developing into a new upscale shopping hub, but there’s also the iconic and quirky market. Iconic department stores include Harrod’s and Selfridges (among the first department stores in the world). If looking to escape the city for half a day, take a Britain beach trip during a summer visit (where a beach pail and sandals would come in handy – though sandals work for shopping in the city as well). Just under an hour via train, there’s Sunny Sands Beach in Folkestone, Kent (which is noted for having good quality sand and an annual sandcastle competition in July). If looking for an all day trip or to stay a night, Cornwall is the England beach destination to head to. 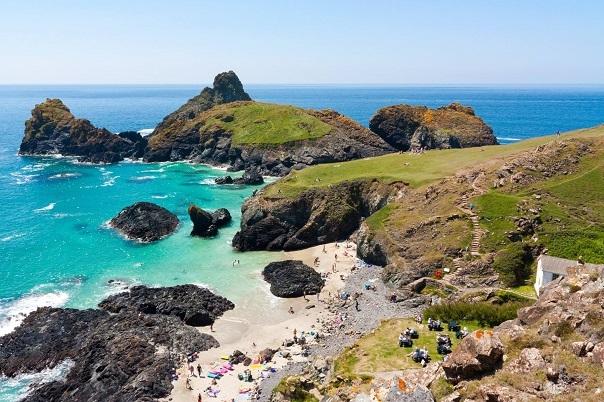 Four to five hours away from London via car or train (or a one hour flight – making it easy for your to get in and out in a day), over a 75% of Cornwall is surrounded by the sea and it has the longest stretch of coastline in the UK. I mean just look that picture above again, dream beach! 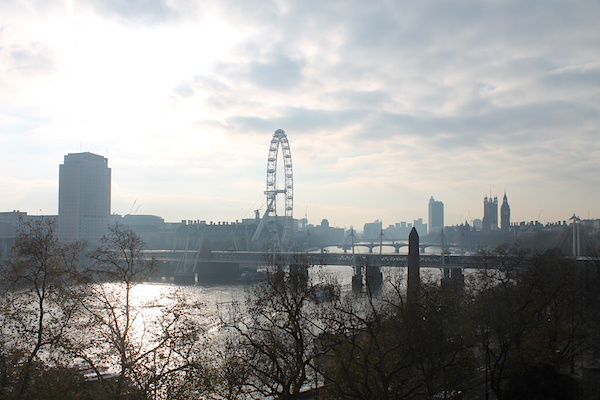 I hope you’e enjoyed my London weekend itinerary and that it inspires you to visit! Posted on March 26, 2015, in Travel and tagged London, Travel, Virgin Atlantic. Bookmark the permalink. Leave a comment.